In this post, we will discuss how we can retrieve all SharePoint users into a custom list using event receiver feature in SharePoint 2010. 1. First create Empty SharePoint project using visual studio 2010. 2. Now add the custom list definition for fetching the user in your project. 3. In solution explorer find the feature, if missing create feature. 5. 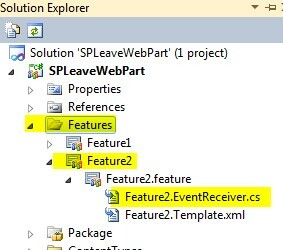 Now open the Feature2.EventReceiver.cs file and remove the comment from FeatureActivated method and under this method add the following code. 6. Now Save and deploy the solution.